Growing up in Southwest Missouri, you wouldn’t catch Jesse Ankrom sitting around much. Jesse excelled in golf, soccer and basketball; earning multiple all-state honors in golf and soccer before graduating from Bolivar High School. Involved in student government as well as other school, church, civic and community works; Jesse’s folks made sure he understood you worked hard to accomplish your goals and it was never just about him. Service to others was the priority. Life’s experiences serve as a teacher and a barometer of the person. In this regard, Jesse’s strengths lie in a solid work ethic, limitless energy and enthusiasm, a determination to always improve and do his best, a dedication to win and an unselfish willingness to do his part to secure a victory. After high school, Jesse earned a Bachelor of Arts degree in political science from William Jewell College in Liberty, Missouri where he was an active member of the Phi Gamma Delta “FIJI” Fraternity. There, he was the Chair of the Judicial Committee, overseeing issues that would arise between members of the Fraternity. He also helped raise money for Bikers Against Child Abuse (B.A.C.A), as a community outreach program through the Fraternity. Law school led Jesse and his wife, Lindsey, to Kansas City, where he earned his Juris Doctorate from the University of Missouri -Kansas City School of Law. Licensed to practice law in Missouri, Jesse returned to Bolivar to join his father, Charles in his law practice. As a two-man firm, Jesse gained immediate, immeasurable experience which has served his clients well in multiple areas of the law. 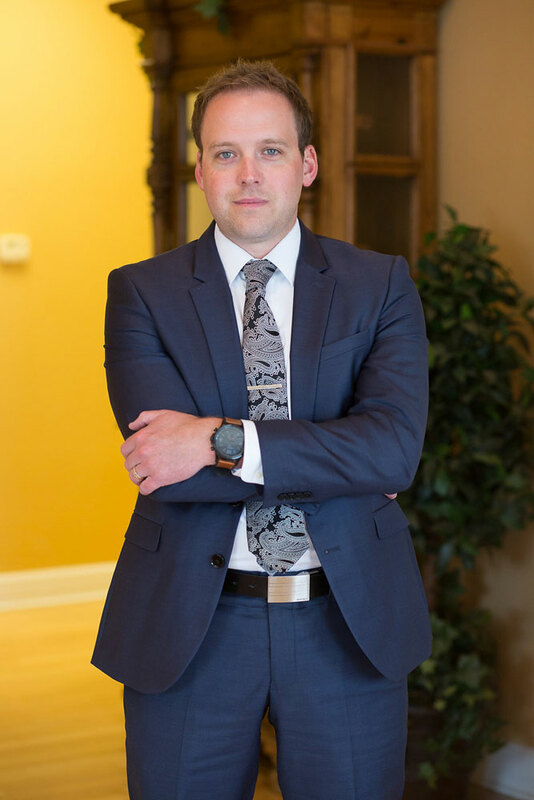 As a part of the Kirksey Law Firm, Jesse uses his skills and work ethic to serve people in the areas of litigation, and general practice. Outside of the law firm, Jesse and his wife, Lindsey reside in Bolivar with their two young sons, Myles and Harrison; expecting their first daughter later this year. An active member of First Baptist Church – Bolivar, Jesse serves on the church’s leadership council and is a small group leader. He is the current vice-president of the Bolivar Area Chamber of Commerce as well as a board member of the Bolivar Area Community Foundation, and Alpha House Pregnancy Resource Center. Whether through faith, family, community or the court system, Jesse’s commitment to serve others is evident. Contact Jesse today. He is ready to serve you.